Step 1: open YouTube and go to the application’s settings menu. You’ll find it by pressing on your avatar, located in the top right hand corner of the interface. Step 2: in this options menu, you have to go to Settings and from there to History and privacy. Step 3: once there, there are two interesting options Clear watch history and Clear search history. Press them both to leave everything sparkling. In this menu you can also find options to stop the app from registering your activity until you enable it once again, as well as the possibility to manage it manually, which will allow you to delete specific elements. 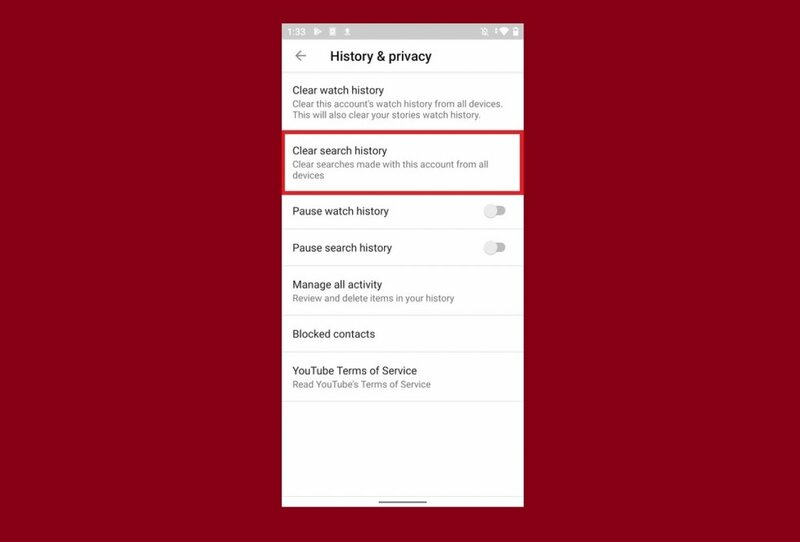 Remember that, in any case, if you delete your history, not only will you be cleaning it on your device but also on your YouTube account. In other words, you won’t be able to access it on your PC or any other device where you use it. However, if you’re really concerned about other people viewing what you watch (imagine that you share your device), the best thing to do is to turn on the incognito mode, which you can also find in the options menu that you can access through your avatar. Once you turn it on, it works identically to the incognito mode of Google Chrome, for instance. In other words, you won’t leave any traces on your device (or on your account) of the contents you’ve visited. However, your Internet provide and Google will still know what you’ve viewed.